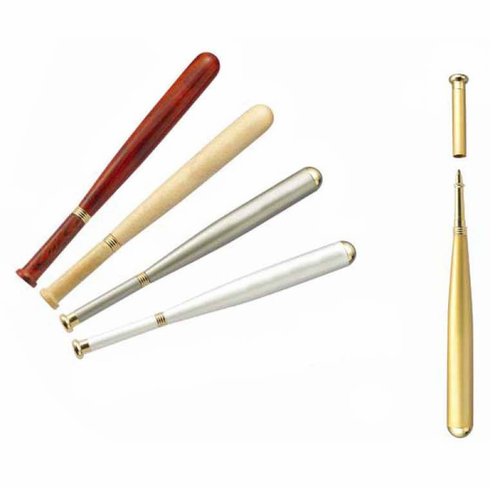 These 5" baseball bat ballpoint pens feature different exterior colors. Pull off the handle of the bat and you're ready to write! Limited quantities...satin nickel/silver is sold out.